Black female service members from across the country have decided to share their unique experience in a new book, called Camouflaged Sisters, the Fort Hood Herald reports. 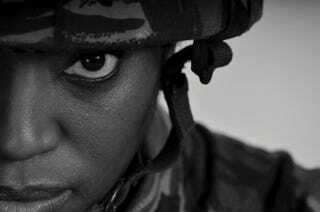 With contributions from 14 women who reflect on their lives as either active-duty soldiers or veterans, the book shares the often-overlooked perspectives and voices of black women in the military. “For many years our voice has been silenced, and we need to be heard. We need to be seen. We need to be known,” one of the authors, Luvina Sabree—a Killeen, Texas, resident who served four years in the Army and four in the National Guard—told the news site. The book is the brainchild of lead author Lila Holley, who served 22 years in the Army and published her own book, Battle Buddy, earlier this year. “I wanted to get other women’s perspectives on the military experience. … I started asking my circle of sisters, and the right ones just came on board. The book, although it was written by 14 African-American women and our experiences, any service member can relate [to it],” Holley said. According to the report, the book covers the topics of leadership, work-life balance, mentorship, faith and transitioning out of the military. The authors told the Herald that writing the book together has fostered a true sense of sisterhood, which is also what the women hope readers will take away from the book. “I would hope that in the service now, more people would realize that we do need to be sisters and we need to pull each other up by the bootstraps. We all need to be there for each other because the woman’s story is completely different than the male story. It’s about helping each other,” author Tamara Sanford, who joined the Army at 17, said. Camouflaged Sisters, which is due to be released this weekend, will be available to download as an e-book, fittingly, starting Wednesday, Veterans Day, according to the news site. The book will also be available at Barnes & Noble and Amazon.com. Read more at the Fort Hood Herald.